Jessie Willcox Smith (September 6, 1863 – May 3, 1935) was one of the most prominent female illustrators in the United States during the Golden Age of American illustration. She was a prolific contributor to respected books and magazines during the late 19th and early 20th centuries. She illustrated stories and articles for clients such as Century, Collier's, Leslie's Weekly, Harper's, McClure's, Scribners, and the Ladies' Home Journal. She had an ongoing relationship with Good Housekeeping, including the long-running Mother Goose series of illustrations and creating all the covers from 1915 to 1933. Among the more than 60 books that Smith illustrated were Louisa May Alcott's Little Women and An Old-Fashioned Girl, Henry Wadsworth Longfellow's Evangeline, and Robert Louis Stevenson's A Child's Garden of Verses. Jessie Willcox Smith was born in the Mount Airy neighborhood of Philadelphia, Pennsylvania. She was the youngest girl born to Charles Henry Smith, an investment broker, and Katherine DeWitt Willcox Smith. Jessie attended private elementary schools and at the age of sixteen she was sent to Cincinnati, Ohio to live with her cousins and finish her education. She trained to be a teacher and taught kindergarten in 1883, but found that the physical demands of working with children too strenuous for her; Due to back problems, she had difficulty bending down to their level. Persuaded to attend one of her friend or cousin's art classes, Smith realized she had a talent for drawing. In 1884 or 1885, Smith attended the Philadelphia School of Design for Women (now Moore College of Art and Design) and in 1885 attended the Pennsylvania Academy of the Fine Arts (PAFA) in Philadelphia under Thomas Eakins and Thomas Anshute's supervision. It was under Eakins that Smith began to use photography as a resource in her illustrations. Although Eakins' demeanor could be difficult, particularly with female students, he became one of her first major influences. In May 1888, while Smith was still at the Pennsylvania Academy, her illustration Three Little Maidens All in a Row was published in the St. Nicholas Magazine. Illustration was a professional avenue that women could employ to make a living as an artist at the time. At this time, creating illustrations for children's books or of family life was considered an appropriate career for woman artists because it drew upon maternal instincts. Fine art that included life drawing was not considered ladylike. Illustration became a viable career partly due to improved color printing processes and the resurgence in England in book design. Smith graduated from PAFA in June 1888 and joined the first magazine for women, the Ladies' Home Journal the same year, where she had an entry-level position in the advertising department finishing rough sketches, designing borders, and preparing advertising art for the magazine. She illustrated the book of poetry New and True (1892) by Mary Wiley Staver. During her time at the Ladies' Home Journal, Smith enrolled in 1894 in Saturday classes at Drexel University with Howard Pyle. She was in his first class at Drexel, which had almost 50% female students. Pyle pushed many artists of Smith's generation to fight for their right to illustrate for the major publishing houses of the time. He worked especially closely with many artists who he saw as "gifted." Smith said that working with Pyle swept away "all the cobwebs and confusions that so beset the path of the art-student." Her speech was later compiled in the 1923 work "Report of the Private View of Exhibition of the Works of Howard Pyle at the Art Alliance." She studied with Pyle through 1897. 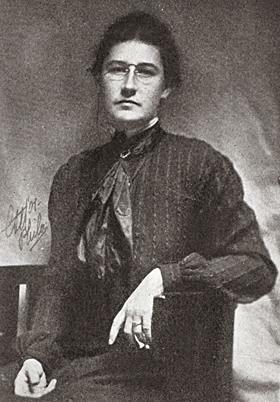 Smith met Elizabeth Shippen Green and Violet Oakley while studying at Drexel with whom she would share talent, mutual interests, and lifelong friendship. The women shared a studio on Philadelphia's Chestnut Street. Henry Wadsworth Longfellow's Evangeline, illustrated by Oakley and Smith, was published in 1897. At the turn of the twentieth century, Smith's career flourished. She illustrated a number of books, magazines, and created an advertisement for Ivory soap. Her works were published in Scribner's, Harper's Bazaar, Harper's Weekly, and St. Nicholas Magazine. She won an award for Child Washing. Green, Smith, and Oakley became known as "The Red Rose Girls" after the Red Rose Inn in Villanova, Pennsylvania where they lived and worked together for four years beginning in the early 1900s. They leased the inn where they were joined by Oakley's mother, Green's parents, and Henrietta Cozens, who managed the gardens and inn. Alice Carter created a book about the women entitled The Red Rose Girls: An Uncommon Story of Art and Love for an exhibition of their work at the Norman Rockwell Museum. Museum Director Laurie Norton Moffatt said of them, "These women were considered the most influential artists of American domestic life at the turn of the twentieth century. Celebrated in their day, their poetic, idealized images still prevail as archetypes of motherhood and childhood a century later." Photograph of Violet Oakley and Jessie Willcox Smith facing the camera and Elizabeth Shippen Green and Henrietta Cozens , who are partially hidden, c. 1901, Violet Oakley papers, Archives of American Art, Smithsonian Institution. Elizabeth Shippen Green, Life was made for love and cheer, depicts the artist, Jessie Willcox Smith and Violet Oakley and other friends at the Red Rose Inn. Green and Smith illustrated the calendar, The Child in 1903. Smith exhibited at the Pennsylvania Academy of the Arts that year and won the Mary Smith Prize. When the artists lost the lease on the Red Rose Inn in 1904, a farmhouse was remodeled for them in West Mount Airy, Philadelphia by Frank Miles Day. They named their new shared home and workplace "Cogslea", drawn from the initials of their surnames and that of Smith's roommate, Henrietta Cozens. As educational opportunity opened up to women in the later 19th century, women artists joined professional enterprises, and also founded their own art associations. But artwork by 'lady artists' was considered inferior. To help overcome that stereotype women became " increasingly vocal and confident " in promoting their work, as part of the emerging image of the educated, modern and freer "New Woman". Artists "played crucial roles in representing the New Woman, both by drawing images of the icon and exemplifying this emerging type through their own lives." In the late 19th century and early 20th century about 88% of the subscribers of 11,000 American magazines and periodicals were women. As more women entered the artistic community, publishers hired women to create illustrations which depicted the world through women's perspectives. Other successful illustrators were Jennie Augusta Brownscombe, Rose O'Neill, Elizabeth Shippen Green, and Violet Oakley. 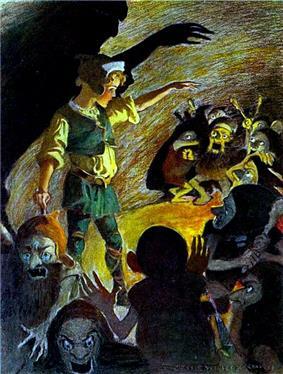 Smith preferred to create illustrations for covers and stories, and also illustrated advertisements, which bore her signature. According to the National Museum of American Illustration, she is said by many to be the "greatest children's book illustrator" and has been compared to Mary Cassatt for her endearing portrayal of children. Freeman, Ruth S. Jessie Willcox Smith: Jessie Willcox Smith: Children's Great Illustrator. Watkins Glen:: Century House, Inc.
Gedeon, Joanne A. (Spring 2010). "Jessie Willcox Smith". Pennsylvania Center for the Book, The Pennsylvania State University. Goodman, Helen (Spring–Summer 1987). "Women Illustrators of the Golden Age of American Illustration". Woman's Art Journal 8 (1): 13–22. Nudelman, Edward D., ed. (1991). 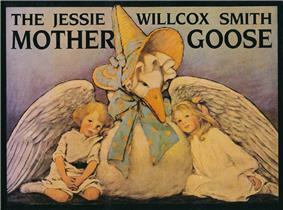 The Jesse Willcox Smith Mother Goose: A Careful and Full Selection of the Rhymes. Gretna, LA: Pelican Publishing. Plastic Club; Violet Oakley; Jessie Willcox Smith, Elizabeth Shippen Green (1902). The Plastic Club Catalogue: Exhibition of Work by Violet Oakley, Jessie Willcox Smith, Elizabeth Shippen Green. Philadelphia: Plastic Club. Reed, Rodger T. "Jessie Willcox Smith". Illustration House. Schnessel, S. Michael (1977). Jessie Willcox Smith. London: Studio Vista. Smith, Jessie Willcox; Albert Sterner; Maxfield Parrish, William Thomas Smedley, Harrison Fisher, F. X. Leyendecker, Arthur Burdett Frost, Edward Windsor Kemble (1906). 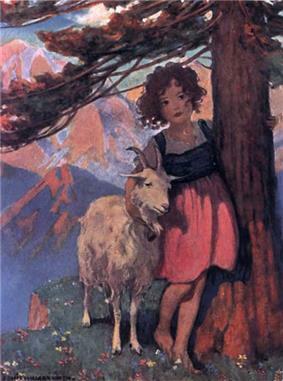 Eight American Artists: Jessie Willcox Smith, Albert Sterner, Maxfield Parrish, William T. Smedley, Harrison Fisher, F.X. Leyendecker, A.B. Frost, E.W. Kemble. P.F. Collier. Susina, Jan. (1991). Dream Children. The Johns Hopkins University Press. Michele H. Bogart (18 December 1995). Artists, Advertising, and the Borders of Art. University of Chicago Press. Carter, Alice A. (1 March 2000). The Red Rose Girls: An Uncommon Story of Art and Love. Harry N. Abrams. Hamburger, Susan (1998). "Jessie Wilcox Smith". American Book and Magazine Illustrators to 1920. Gale Research International, Limited. 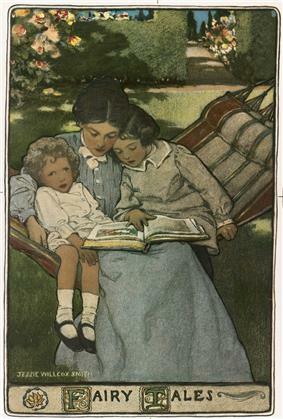 The Illustrators Project: Jessie Willcox Smith (1863-1935). The Elizabeth Nesbitt Room (ENR), Information Sciences Library, University of Pittsburg. Retrieved December 20, 2014. Keels, Thomas H.; Elizabeth Farmer Jarvis (2002). Chestnut Hill. Arcadia Publishing. p. 80. May, Jill P.; Robert E. May; Howard Pyle (2011). Howard Pyle: Imagining an American School of Art. University of Illinois Press. Nudelman, Edward D. (1989). Jessie Willcox Smith: A Bibliography. Gretna, Louisiana: Pelican Publishing. p. 11. Nudelman, Edward D. (1990). Jesse Willcox Smith: American Illustrator. Gretna, Louisiana: Pelican Publishing. Pennsylvania Academy of the Fine Arts (1936). Memorial Exhibition of the Work of Jessie Willcox Smith: Pennsylvania Academy of the Fine Arts, March 14 Through April 12, 1936. The Academy. Prieto, Laura R. (2001). At Home in the Studio: The Professionalization of Women Artists in America. Harvard University Press. Trina Robbins (23 May 2001). Nell Brinkley and the New Woman in the Early 20th Century. McFarland. 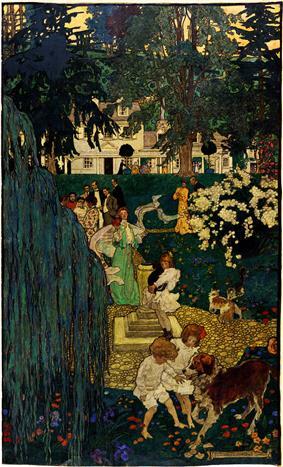 Stryker, Catherine Connell; Jessie Willcox Smith; Elizabeth Shippen Green Elliott, Violet Oakley (1976). The Studios at Cogslea: Delaware Art Museum, February 20-March 28, 1976. Delaware Art Museum. Thomson, Ellen Mazur (1997). The Origins of Graphic Design in America, 1870-1920. Yale University Press. ^ "Biography of Jessie Willcox Smith". Penn State University Libraries. Retrieved December 28, 2014. ^ a b Nudelman, 1990, pp. 17, 139. ^ a b c d e f g h i j k l m n o p q r s Illustrators Project, Jessie Willcox Smith biography. ^ a b c Nudelman, 1989, p. 12. ^ a b c Nudelman, 1990, p. 18. 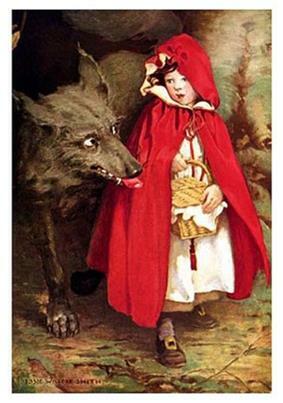 ^ a b c d "Search: Artist - Jessie Willcox Smith". Delaware Art Museum. Retrieved December 28, 2014. ^ a b Nudelman, 1990, p. 19. ^ a b c "The Red Rose Girls: An Uncommon Story of Art and Love". Traditional Fine Arts Organization, Inc. Retrieved December 26, 2014. ^ a b Nudelman, 1989, p. 11. ^ a b c d e "Jessie Willcox Smith: American Imagist". National Museum of American Illustration. Retrieved December 28, 2014. ^ Nudelman, 1990, pp. 21, 139. ^ Nudelman, 1990, pp. 21-24. ^ Nudelman, 1989, p. 13. ^ Nudelman, 1990, p. 26. ^ Pennsylvania Academy of the Fine Arts (1914). Catalogue of the Annual Exhibition of Painting and Sculpture. pp. 10–11. ^ a b Nudelman, 1990, pp. 10, 34. ^ a b Keels, Jarvis, p. 80. ^ a b Prieto, pp. 160–161. ^ a b c d Library of Congress 1999 exhibition of "The Water-Babies" www.loc.gov. ^ a b May, May, and Pyle, p. 89. ^ a b Thomson, p. 154. ^ The Plastic Club. The Historical Society of Pennsylvania. Retrieved March 4, 2014. ^ Thomson, pp. 75, 127. ^ Bogart, pp. 26, 48, 69-70, 141. ^ Nudelman, 1990, pp. 36-37. ^ Nudelman, 1990, p. 37. ^ Nudelman, 1990, pp. 34-37, 141. ^ Nudelman, 1989, p. 19. ^ Nudelman, 1990, pp. 37-38. ^ Stryker, Smith, Elliot, Oakley, p. 12. ^ Nudelman, 1990, p. 39. ^ "Search: Jessie Willcox Smith + Procter & Gamble". Smithsonian Institution Research Information System. Retrieved December 20, 2014. ^ "Search: Jessie Willcox Smith + Collier's". Smithsonian Institution Research Information System. Retrieved December 20, 2014. ^ "Search: Jessie Willcox Smith + Charles Dickens". Smithsonian Institution Research Information System. Retrieved December 20, 2014. ^ Nudelman, 1990, pp. 19, 43. ^ Nudelman, 1990, pp. 45, 141. ^ Nudelman, 1990, p. 141. ^ Pennsylvania Academy of the Fine Arts. ^ "Hall of Fame Past Inductees". Society of Illustrators. Retrieved December 21, 2014. ^ "Cabinet of American Illustration". Library of xCongress. Retrieved December 21, 2014. ^ "Search: Jessie Willcox Smith". Library of Congress. Retrieved December 21, 2014. ^ "Jessie Willcox Smith papers, 1901-1931". Smithsonian Institution Research Information System. Retrieved December 20, 2014. ^ "Brandywine River Museum of Art". Brandywine River Museum of Art. Retrieved December 28, 2014. ^ "Thornton Oakley collection of Howard Pyle and His Students". Free Library of Philadelphia. January 6, 2015. ^ "Collection". National Museum of American Illustration. Retrieved December 28, 2014. 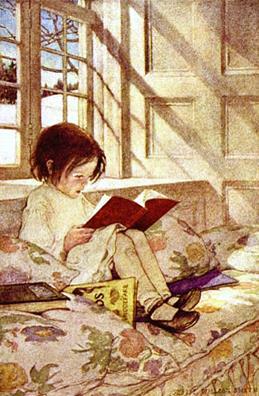 ^ "Jessie Willcox Smith". New York Public Library. Retrieved December 28, 2014. ^ "Collection by Artist: Jessie Willcox Smith". Pennsylvania Academy of the Fine Arts. Retrieved December 28, 2014. ^ "Child in a Blue Suit (Portrait of Henry P. McIlhenny)". Philadelphia Museum of Art. Retrieved 10 January 2015. ^ "Waterbabies". United States Library of Congress. Retrieved December 28, 2014. ^ "Jessie Willcox Smith, Have You a Red Cross Service Flag?". University of Michigan Museum of Art. Retrieved December 28, 2014. ^ Jessie Willcox Smith illustrationTwas the Night before Christmas,. Gutenberg.org. ^ Oakley and Smith never married. ^ Violet Oakley remained at Cogslea until the 1960s. Smith bequeathed 14 original works to the Library of Congress' "Cabinet of American Illustration" collection to document the Golden age of illustration (1880-1920s). Smith's papers are on deposit in the collection of the American Art Archives at the Smithsonian Institution. In 1991, Smith was the second woman to be inducted into The Hall of Fame of the Society of Illustrators. Lorraine Fox (1979) was the first woman inductee. 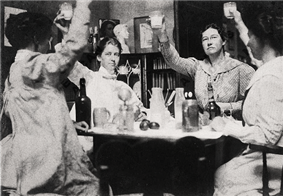 Of the small group of women inductees, three of them were members of The Red Rose Girls, Jessie Willcox Smith, Elizabeth Shippen Green (1994) and Violet Oakley (1996). Never a travel enthusiast, Smith finally agreed to tour Europe in 1933 with the Isabel Crowder, who was Henrietta Cozens' niece, and a nurse. During her trip, her health became poorer and she died at age of 71 in her house at Cogshill in 1935. In 1936, the Pennsylvania Academy of the Fine Arts held a memorial retrospective exhibition of her works. Most of Smith's work is primarily concerned with children and motherly love. Many reviewers say Smith was continually trying to recreate the image of love she had desperately needed as a child. Smith preferred to use real children as opposed to child actors, because she found professional children did not have the same soul, or will to explore, as amateur child models. She would invite her friends to visit, and watch their children play, to use that as her inspiration. Smith's style changed drastically through her life. In the beginning of her career she used dark lined borders to delineate brightly coloured objects and people in a style described as "Japanesque". In later works she softened the lines and colours until they almost disappeared. Smith worked in mixed media: oil, watercolor, pastels, gouache, charcoal, whatever she felt gave her desired effect. She often overlaid oils on charcoal, on a paper whose grain or texture added an important element to the work. Her use of colour was influenced by the French impressionist painters. Smith continued to create illustrations throughout her life, but increased the number of portraits she painted beginning about 1925. She leveraged a technique that she learned from Eakins in these later years. She used photography as a tool when creating portraits. She graced every printed cover of Good Housekeeping from December 1917 through April 1933, becoming the artist with the longest run of illustrated magazine covers. She created a total of 184 illustrations of family scenes for the magazine. The magazine said of her, "Certainly no other artist is so fitted to understand us, and to make for us pictures so truly an index to what we are as a magazine are striving for. The holding up to our readers of the highest ideals of the American home, the home with that certain sweet wholesomeness one associates with a sunny living-room—and children." She was one of the highest paid illustrators of the time, earning over $1,500 per cover. 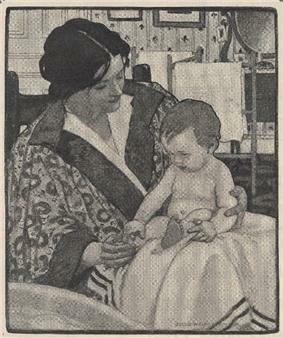 Smith also created illustrations for Kodak and Procter & Gamble's Ivory soap over the course of her career. She made illustrations for Collier's magazines and of Charles Dickens' works, like Tiny Tim, Dicken's Childrens, Ten Children, and David Copperfield. Over the next several years she continued to create illustrations for magazines, including a series of Mother Goose illustrations printed in Good Housekeeping which were made in black and white until mid-1914 when they were printed in color. Her illustrations were reproduced in the book The Jessie Willcox Smith Mother Goose by Dodd, Mead, and Company. The book that reflected her continued theme of mother and child in a realistic portrayal was a commercial success. 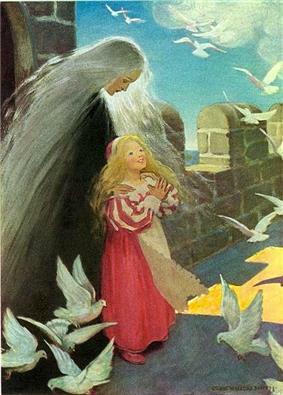 Biographer Edward D. Nudelman wrote, "The cover illustration for this book, showing two children nestled beneath the wings of Mother Goose, is one of Smith's most pleasing and warm images. The serenity portrayed in the posture and expression of the children, along with the material concern of Mother Goose, gives evidence of the genius of Smith." Smith had a knack for painting children, persuasively using milk, cookies and fairy tales to achieve a relaxed, focused, child model. In her October 1917 Good Housekeeping article she wrote that "A child will always look directly at anyone who is telling a story; so while I paint I tell tales marvelous to hear." 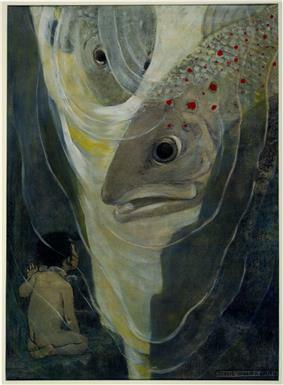 In 1915 Smith finished one of her most well known works for Charles Kingsley's The Water-Babies. In 1911 both of her parents and Howard Pyle died and Elizabeth Shippen Green was married to Huger Elliott. Oakley had a project in Harrisburg, the state capitol, that kept her away from Cogslea for extended periods. Smith had a 16 room house and studio that she called Cogshill built on property near Cogslea. 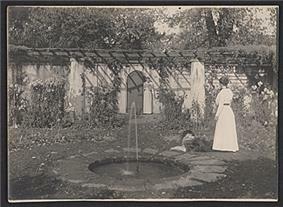 She lived in what was her final home with Cozens, her aunt, and her brother. According to an article printed by The New York Times in 1910, Smith made about US $12,000 ($303,729 today) per year and, like Norman Rockwell and J. C. Leyendecker, became as popular as a "media star". Smith was particularly known for her illustrations and advertising posters of children and women, which appealed to millions of people.